"Both officers should have been fired." The mother of Tamir Rice says punishment handed down for officers involved in her son's shooting death took "too long" and believes both officers should have been fired. Officer Timothy Loehmann shot and killed the 12-year-old on November 22, 2014, believing a toy gun he was reaching for was real. On May 30, Cleveland police announced that Loehmann was terminated from the police department, effective immediately, not for firing the fatal shot, but for lying on his police application. His partner, Officer Frank Garmback, who was driving the police cruiser that pulled onto the grass near where Rice was standing, was given a 10-day suspension. "I am relieved that Loehmann was fired," said Samaria Rice. "As he should be." But she also said Loehmann should have been fired for killing her son and not simply lying on his application. "Garmback should have been fired also for pulling up so close to Tamir to create the murder of Tamir," she said. "We are in fear the other shoe is going to drop due to additional accountability failures by the City of Cleveland." This was a reference to police arbitration procedures that often result in officers being re-instated. Last April, the City of Cleveland settled a $6 million dollar lawsuit in the case. Meanwhile, the Rice family has asked the U.S. Department of Justice to review the case. 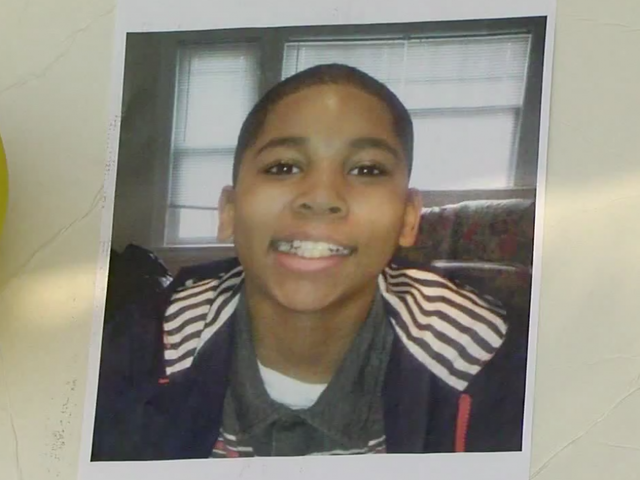 REPLAY: Cleveland police announce discipline in Tamir Rice officer-involved shooting case.